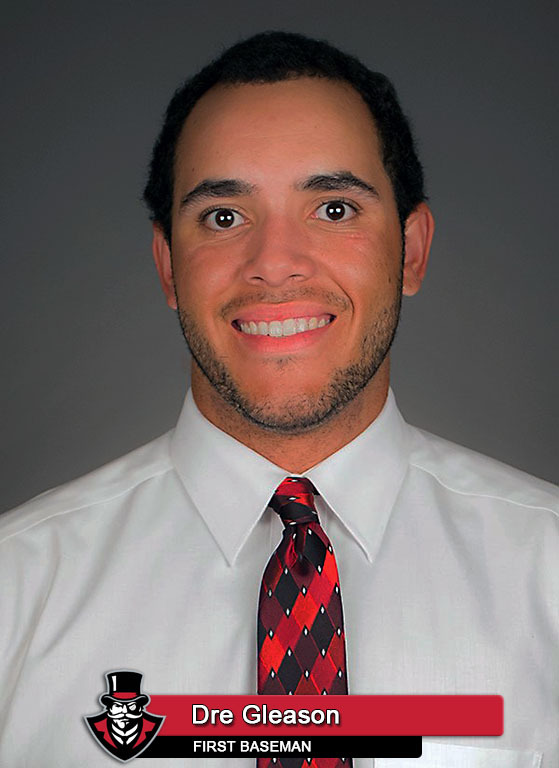 Murray, KY – Offense ruled the day in Sunday’s Ohio Valley Conference series finale, but Austin Peay State University’s baseball team could not overcome its own defensive miscues in a 17-12 loss to Murray State. For a second straight game, Austin Peay (10-9, 4-2 OVC) had the early momentum, scoring four runs in the first inning. Left fielder Cayce Bredlau‘s one out double opened the scoring and infielder Parker Phillips‘ two-run home run capped the frame. Murray State (11-8, 3-3 OVC) got two of those runs back in the second, only to commit an error and a wild pitch in the top of the third to give the two runs back. But the Racers returned the favor in their half of the third, using right fielder Brandon Gutzler’s leadoff home run as well as an error and a passed ball by the Govs defense to scratch out three runs and close back within a run, 6-5, after three. 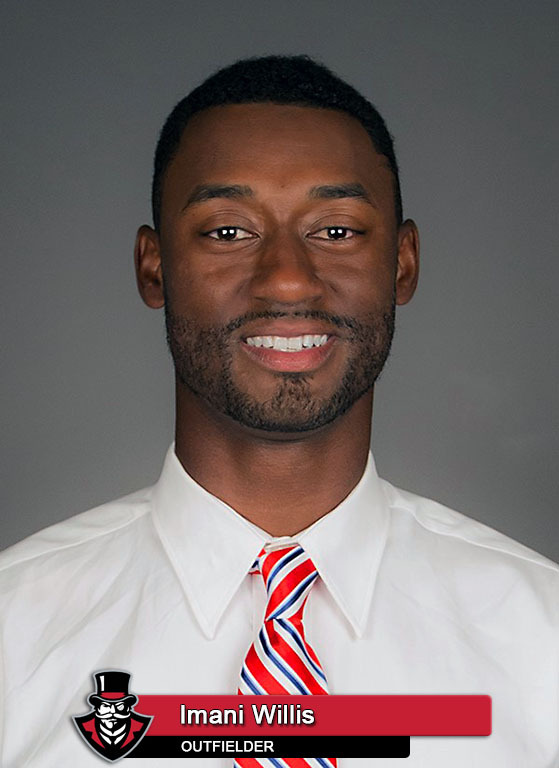 The Governors capitalized on another Murray State error in the fourth to add a run when centerfielder Imani Willis singled, stole second and third before dashing home after a throwing error. The Racers continued to plug away and opened their half of the fourth with a double and a single. First baseman Adam Bauer would drive in a run with a ground out before Gutzler tied the game with a one-out double. Austin Peay then committed its second error, allowing catcher Tyler Lawrence to reach base. Left fielder Ryan Perkins made the Govs pay for the extra out with a three-run home run that gave Murray State the lead. Third baseman Davis Sims followed with another home run and the Racers were up 11-7 after four. After both teams tacked on runs in the sixth, Murray State set about extending its lead in the seventh as the Austin Peay bullpen battled to record outs. The first five Racers batters reached base safely, including a quartet of walks, to add two runs. A Governors infield error allowed two more runs to score before a ground out supplied a fifth run in the inning and a 17-8 lead. That five-run frame would prove crucial as the Govs took advantage of a rocky Racers bullpen in the eighth. Five of the Govs first six hitters in the inning would reach base safely, Bredlau supplying two runs courtesy a double into the left center gap. APSU would add runs thanks to a wild pitch and a bases-loaded walk, cutting the deficit to 17-12. However, Austin Peay would see its rally snuffed out with the bases loaded. 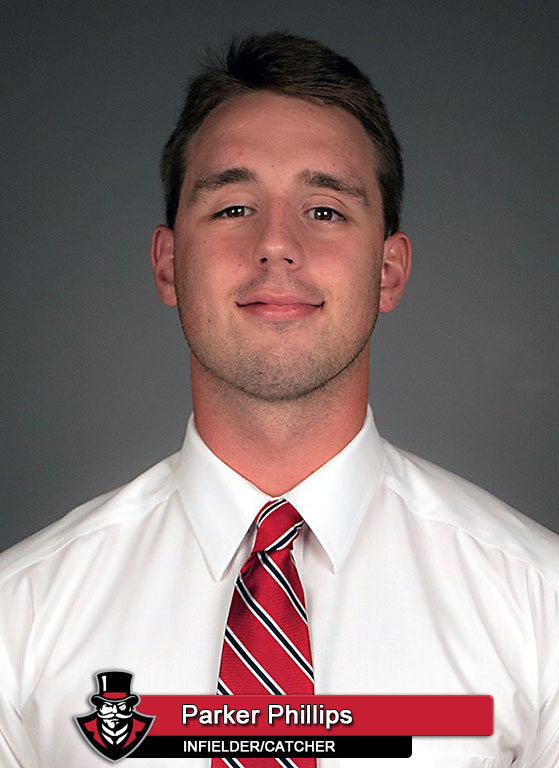 Govs reliever Michael Costanzo (1-3), the first man out of the bullpen, suffered the loss after allowing four unearned runs on three hits while recording two outs in the fourth inning. 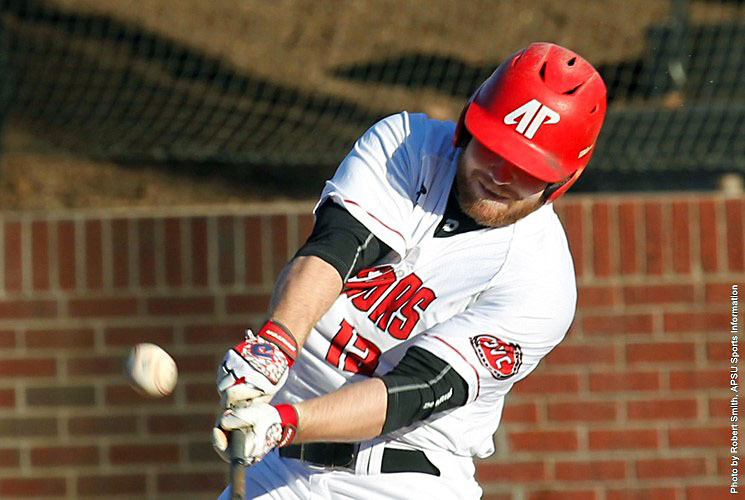 APSU starter Josh Rye would leave after three-plus frames, allowing seven runs on 10 hits. Murray State reliever Connor Carmer notched the win after holding the Govs to three unearned runs on four hits in his 3.2 innings of work. Racers starter Jack Hranec surrendered four runs on four hits in the first inning and did not return to the mound. Bredlau paced the Govs offense with a 2-for-5, two double, three-RBI performance. Infielder Parker Phillips went 1-for-3 with four RBI, picking up RBI with sacrifice fly and a bases-loaded walk in addition to his two-run home run. Perkins led Murray State’s offense with a 3-for-4, five RBI outing that included a three-run home run. Sims followed him in the order with a 3-for-5, four RBI effort with a double and home run. Left fielder Cayce Bredlau had a pair of doubles in his 2-for-5, three RBI performance and saw another ball he put in play end up as a two-base error. His double in the first inning gave APSU its first run. Bredlau’s second double would come in the eighth and delivered two runs as part of a four-run rally. First baseman Dre Gleason went 1-for-3 with two walks in Sunday’s series finale. He ended the Murray State series batting .500 (5-for-10) with five walks (.667 on-base percentage) but was held to just two RBI. Freshman infielder Parker Phillips ended a 24-day home run drought with his two-run home run in the first inning. It was his third home run of 2017 and the Govs 33rd round tripper of the campaign. The Govs finished their four-game road trip with a 1-3 record after suffering the OVC series loss at Murray State. Austin Peay now is just 2-6 in road games this season. Austin Peay returns home to begin a scheduled five-game homestand when it hosts Arkansas State in a pair of midweek outings. The Govs and Red Wolves are scheduled to play a 6:00pm, Tuesday contest followed by a 3:00pm, Wednesday outing at Raymond C. Hand Park.